My American Mosaic series celebrates America’s rich multicultural heritage through diverse portraits. As descendants of immigrants from every country across the globe or as Indigenous natives, Americans are bound mostly by beliefs and ideals, rather than a shared ethnic or cultural history. The ‘melting pot’ metaphor is being replaced by new metaphors like ‘mosaic’ which suggest an integration that blends yet preserves each culture’s unique qualities rather than promoting one homogenous culture. I have attended many multicultural celebrations and festivals to find the subjects in this series, all of whom are proudly wearing their own traditional dress. I believe America is a young country that can benefit from the beauty and wisdom of myriad cultures and age-old traditions as we continue to build a multicultural society. By documenting traditional customs passed down through many generations, I also preserve the past. I have tried to capture both a historical and contemporary portrait of American identity with the hope that it creates a deeper understanding of who we are as a nation and reminds us that beyond cultural differences, there is also shared humanity. My Eclectic Nation series celebrates multiculturalism in America and honors its eclectic mix of people and their heritage. The series documents myriad cultural traditions at festivals in and around my community and illustrates the rich blend of traditional dress, dance, and rituals in America. I created triptychs of different cultures to show the ties that connect us and the beauty of our individuality. 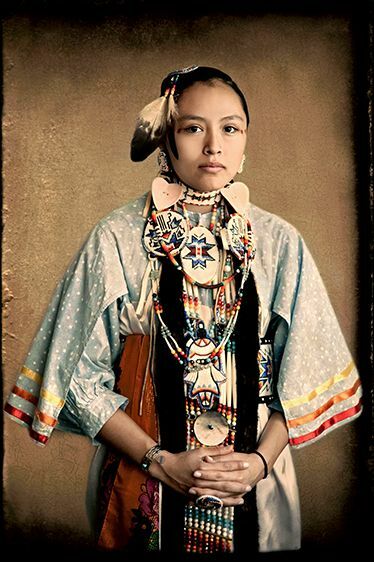 My images of multi-ethnic groups and their ancient traditions reflect both the beauty and pain of our shared history. In an age of increasing intolerance, my series encourages cross-cultural understanding, intercultural dialogue and harmony. My When West Meets East series documents my travels to India to meet my husband’s family and to learn more about his culture. My first visit to this wondrous country was to attend our wedding reception in Kolkata. We returned seven years later with our daughter Sophie and introduced her to many ancient Indian traditions and customs. I photographed both private moments with family as well as public interactions with those I encountered in my travels. With over a billion people, India is the second most populous country in the world. My images reflect the frenetic pace of urban life in India as well as much-needed retreats to more tranquil environments. As the world’s largest democracy and with its rising economic influence, India has become an influential regional and global power. However, it continues to struggle with huge economic and environmental issues as it attempts to modernize. My images observe the myriad dichotomies - opulence and poverty, ancient and modern, spiritualism and consumerism - that exist side by side in this mystical country. My photos capture a sense of wonder and intrigue of the exotic and unfamiliar, but also document universal themes of love, joy, sadness, and struggle. My goals for the project were to broaden my own understanding of my husband’s culture and therefore of him. Ultimately this is a story about love, acceptance, and the enriching experience of marrying into an Indian family. My Days Gone By series travels back in time to the early days in American history. From the perseverance and courage of pioneers to the legends and misdeeds of cowboys and Indians, these images explore the old anew as a way to remember, honor, and learn from our nation's past. In pursuit of liberty, and driven in varying degrees by enterprise, desperation, and Manifest Destiny, the early settlers demonstrated immense grit and determination. These traits are particularly vivid in the West, even today. Yet for every storied myth there is an evocation of hidden tragedy; one cannot view one without sensing the other. Such is America's history and legacy- a reminder of who we are as a nation, where we have come from, and where we may yet go. My Sublime Mysteries series explores spirituality and mysticism across different cultures. The images examine how individuals attempt to unravel the mysteries of life by connecting with a higher consciousness. The reportage images focus on religious rituals and idols, spiritual customs, and mystical places. The collage images, created from my photographs, are inspired by legends and mythologies about creation, life, and the afterlife. In all the images, I attempt to capture some of the mystery, wonder, and awe of spirituality. The photographs in my China: Ancient to Modern series document traditional and contemporary cultures in and around several ancient villages that sit at the base of the Huangshan Mountains (Yellow Mountains) in Anhui Province, China and also include images taken on a train ride from Huangshan to Shanghai. The picturesque villages were developed in harmony with nature, using the principles of Feng Shui, and date back hundreds of years to the Song, Ming and Qing Dynasties. The photographs include cultural performances, spontaneous moments, landscapes, and portraits of the people I encountered while traveling in this historic region. I believe travel opens our minds to a world where our cultural differences can be a source of inspiration and new perspectives, and that photography can be a means to tell stories that connect people of all cultures.